Find great decorators, caterers, venues, themes and more for kids birthday parties in Staten Island. You won't need to look any further than our children's birthday party guide in Staten Island for great kids party ideas. Throw your child an unforgettable party when you use our guide to kids birthday parties Staten Island. Find the top birthday party entertainers in Staten Island. 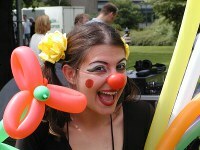 See a list of childrens party entertainers in Staten Island. Use this one-stop guide to kids party places in Staten Island to find the top places to have your next party. 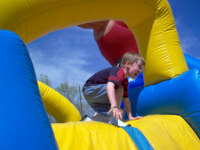 Staten Island birthday party places can be at arcades, zoos, play places, museums, restaurants and more! Your next party will be a big success when you have all the right supplies from Staten Island kids party rentals companies. 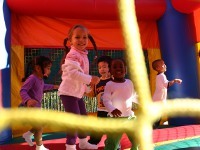 The many kids party rentals Staten Island offers include moonwalks, tents, linens and party supplies. This list of resources for parties for little ones Staten Island will help you plan a birthday party to remember for your child. 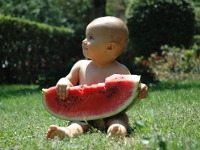 Parties for young children Staten Island come in all types and are geared toward kids 0-4 years old. Find here a great list of party services in Staten Island. No matter what kind of services you are looking for, you will find the top ones listed in this guide to great birthday party services in Staten Island. 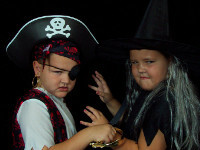 You'll love these themed childrens parties in Staten Island and so will your children! Throw your next birthday party in style when you use one of these kids party themes in Staten Island.